Rather than update a data source manually, or export/edit a spreadsheet, you can create a form to perform data source updates. This is useful for updates that will be necessary on a regular basis, or performing updates on the MESH application. First, create a new data entry form. Using the navigation menu on the left side of the platform click Apps, and select Screens from the drop down. Be sure to select the data source that the form will be modifying. This will ensure that each field (column header) in the data source will be automatically added to the form. Once the form is created, all fields within that data source will be created in the form, and tied to the data source. 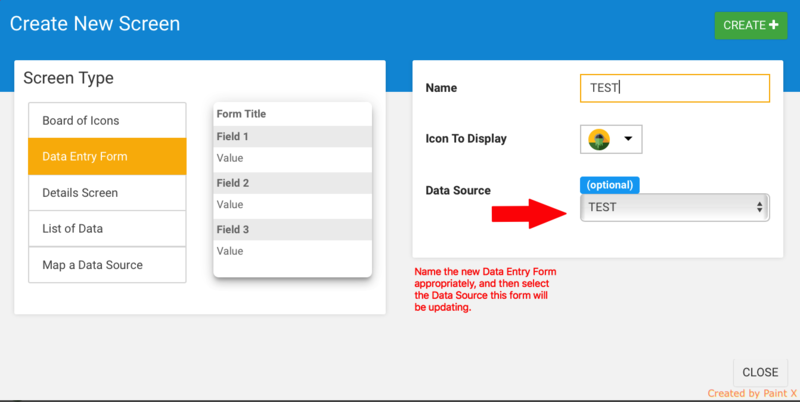 If you need to change the field type, you can drag and drop the necessary field into the form, to ensure it is tied to the proper data source field. 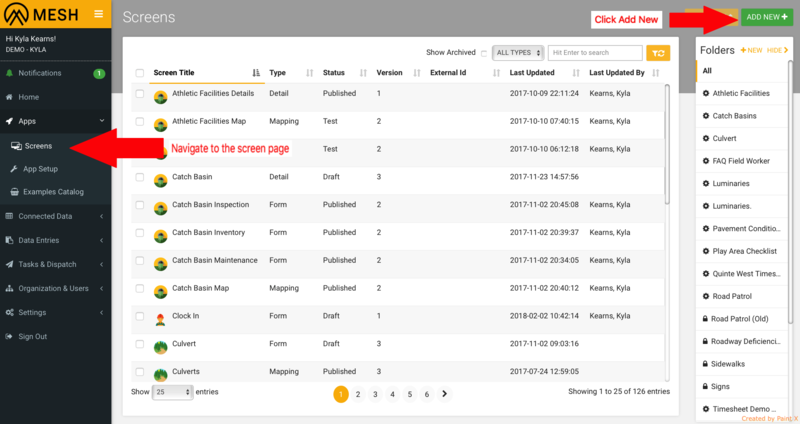 Providing the fields in the data entry form are properly bound to the data source, any time the form is uploaded in the app, the data source will be updated accordingly. For more information on creating forms visit the form's section of this support center.